Why Is Hydrogenated Oil Bad for You? Hydrogenated oil is a man-made food substance that is used widely throughout the food supply for its cost efficiency and technical advantages. Also known as trans fats, these oils have become more known for their damaging health effects. Many scientists and health professional believe trans fats are so dangerous they should be banned from the food supply. 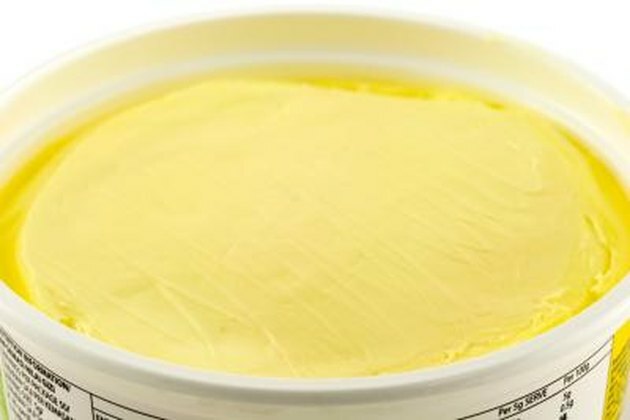 Hydrogenated oils are vegetable oils whose chemical structure has been altered to prevent rancidity in foods, which increases shelf life and saves money for food manufacturers. The process of hydrogenation involves the addition of hydrogen atoms to the oil's available double bonds. As the level of hydrogenation increases, the level of saturated fat increases and the level of unsaturated fat decreases. The hydrogenation process converts what are known as “cis” double bonds to “trans” double bonds. This is where the term “trans fat” originates. Hydrogenation also has the technical advantage of making foods solid or partially solid at room temperature. Trans fats work against the body in many ways. They increase bad cholesterol --low-density lipoprotein, or LDL -- and decrease good cholesterol -- high-density lipoprotein, or HDL. Furthermore, they block the production of chemicals that combat inflammation and benefit the hormonal and nervous systems, while at the same time allowing chemicals that increase inflammation. This means that trans fats promote inflammation and negatively impact cholesterol levels. Natural health doctor, Stephen Gangemi, contends that hydrogenated fats are “poisonous” and that even small amounts can cause damage to the body, resulting in illness or premature death. Harvard School of Public Health notes that trans fats promote immune system over-activity and inflammation and are linked to heart disease, stroke and diabetes, among other chronic diseases. One 2006 article published in the “New England Journal of Medicine” noted that at that time the average American consumed nearly 5 grams of trans fat per day -- an amount that increases the risk for heart disease by approximately 25 percent. To avoid hydrogenated oils you must not only ready nutrition facts but also ingredients labels as well. Many foods advertised as “zero grams trans fat” do, in fact, contain trans fat. If the amount is less than 0.5 grams of trans fat per serving, FDA guidelines allow the manufacturer to list “zero grams trans fat” on the nutrition label. This is where reading ingredients comes in. If the ingredient list contains the words "hydrogenated" or "partially hydrogenated," the food contains trans fat. Foods that often contain trans fats include baked goods, snack foods, deep-fried foods and some margarines.